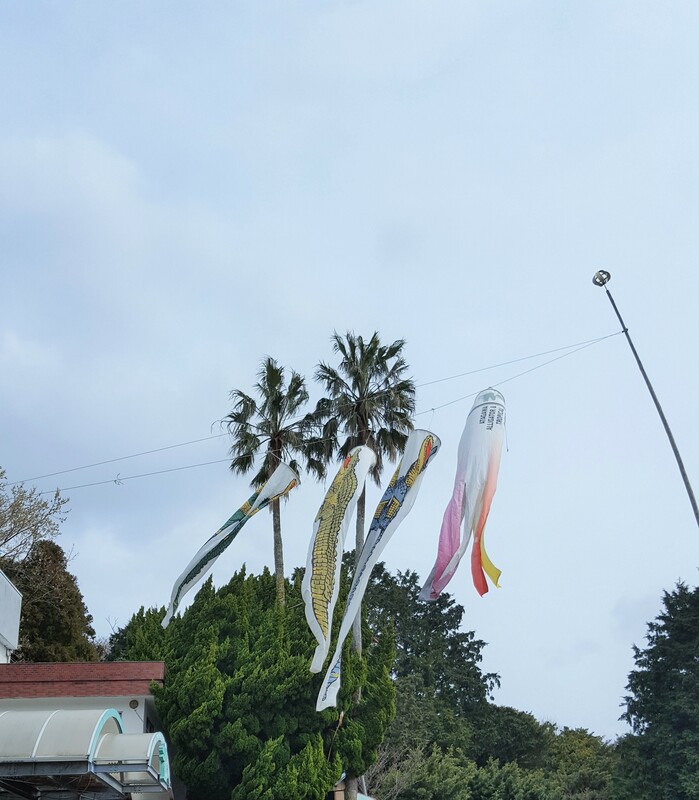 熱川バナナワニ園 hangs Wani-Nobori, streamers with alligator printing. 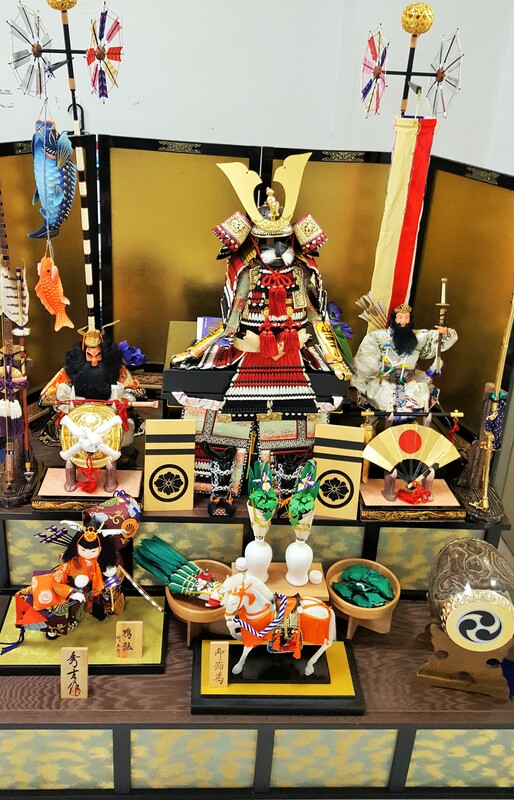 At the hospital Mei-Shun stayed 2 years before, you would find in the lobby a gorgeous arrangement of 五月人形=gogatsu-ningyo, samurai dolls to celebrate Children’s Day. When Mei-Shun was one of them, she has never seen it at boy classmates’ homes. Carp streamers outdoors looked more popular, yet shrinking economy might not be able to afford them.